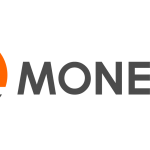 This article, originally published on CoinCentral, explores the key differences between Monero vs. Bitcoin. Bitcoin gave the world digital cash. The ability to transact large sums of money across the globe, without needing to ask permission, and without the need to use middlemen is truly groundbreaking. But for all its advantages over national fiat currencies, Bitcoin now only seems to serve a limited set of use cases. It is not very private, transactions are generally slow and becoming costly. It’s becoming harder to upgrade and add new features to the protocol making it resistant to new innovations and technologies. Then came Monero – private by default with untraceable transactions. It has an adaptive block size. It has its own codebase and is not simply another Bitcoin clone. Even its developers are mainly anonymous. Monero ticks most the permissionless digital cash boxes – is it all too good to be true? 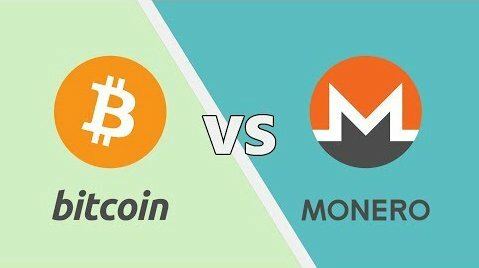 In this Monero vs Bitcoin comparison, we’ll take a deeper look at Monero’s features that have helped it grow to a top 10 cryptocurrency. Bitcoin is pseudonymous, meaning that users can transact without providing their identities. Instead of using real world identities as banks do, Bitcoin uses addresses to make transactions possible between wallets. The problem is that the addresses, along with the transaction information, all get stored on a public ledger. Although users can make transactions without attaching their personal identity, it is now widely known that the Bitcoin blockchain is being data mined by blockchain analysis companies. These companies are able to de-anonymize Bitcoin transactions with a high degree of accuracy. As a side effect of anonymous and untraceable transactions, Monero is more fungible than Bitcoin. Fungible simply means that you can’t tell apart one coin from the next. Bitcoins are subject to being tainted. For instance, if a particular exchange has been hacked, or funds are stolen, the hacked or stolen Bitcoins can be tracked and subsequently blacklisted by exchanges or vendors. This can make a percentage of Bitcoins unspendable, which is not ideal for a digital representation of cash. Monero’s inherent untraceability makes this a non-issue. How exactly does Monero achieve privacy? Monero uses three different privacy innovations, namely, ring signatures, Ring Confidential transactions, and stealth addresses. Lastly, Monero uses stealth addresses which adds privacy to the receiver of a transaction. Stealth addresses use ‘spend keys’ to obscure the receiver’s address. 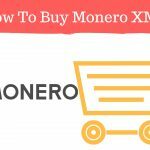 A sender is required to generate a spend key address for the receiver and send the Monero through this address. A ‘view key’ is then used by the receiver to display incoming transactions. This method means that while a transaction is recorded on the blockchain, only the sender and the receiver can determine where the payment was actually sent. Released in early 2014, it is understandable that Monero still has some catching up to do compared to Bitcoin which has been around since 2009. This is reflected in the two coin’s market cap differences, with Monero sitting in 9th place at the time of writing. Bitcoin had a lot more time to build out its network, and it won’t be giving up its first mover advantage that easily. With Monero, however, the market cap comparison does not reflect the fact that Monero has a different use case than Bitcoin, a use case built around its privacy. 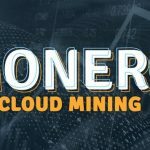 Monero is now establishing itself as the ‘coin of choice’ for people that want privacy in their transactions or that want to use Dark Markets. Bitcoin lost flavor with Dark Market users who quickly switched loyalty when they realized that Monero took privacy a few steps further than Bitcoin ever could. Monero is not a one-trick-pony either. Privacy aside, the Monero developers have been addressing some key issues that Bitcoin has found challenging. Hard forks have proved dangerous in Bitcoin as they show major rifts in consensus and make protocol upgrades contentious. When it comes to upgrading the protocol, Monero has a policy of hard forking every 6 months. All users are given fair warning and are expected to upgrade their software, making upgrading a breeze. Monero has a dynamic block size which can adapt to the network’s requirements, unlike Bitcoin’s hard capped limited block size. With dynamic block sizes, you also get dynamic fees. It takes an average of 2-minutes for the average Monero block to be mined, and for transactions to be confirmed – a clear advantage for retail like scenarios. Miner centralization, due to the use of ASIC chips, is a problem that Bitcoin has not been able to avoid. Short of a contentious fork to change the Proof of Work algorithm, it looks like mining centralization is here to stay in Bitcoin. 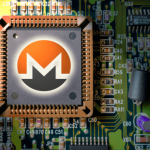 Monero uses mining algorithms that are ASIC resistant, meaning it can be mined using standard CPUs and GPUs, which keeps the mining decentralized. How has the Market received Monero? Monero saw incredible growth in 2016, where it was the best performing crypto for the year. It has a growing legion of fans. Many were originally Bitcoiners that became frustrated with Bitcoin’s inability to achieve consensus to add improvements. As data analysis firms started de-anonymizing Bitcoin users, privacy oriented coins became all the more appealing. 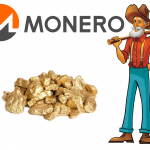 Eager to grow their community and see their currency gain use, Monero fans have organized and have even set up their own LocalBitcoins style exchange for Monero called LocalMonero.co where buyers can find local sellers for one-on-one trades. Since its inception, Monero has forged ahead and carved its own path in cryptocurrency privacy innovation. When compared to Bitcoin, and despite early setbacks and engineering challenges, it clearly leads the way in terms of anonymity and untraceability. But it is not alone in the privacy niche. 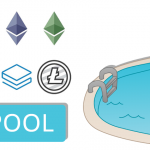 Hot on its heels are other privacy focused coins, like Dash, Zcash, PIVX and Verge among others. But competition is good in the cryptocurrency space because a coin can adopt new and innovative techniques that other developers have found to be successful. It is more about keeping the protocol agile so it can implement improvements and upgrades. Monero devs have shown that this is something they consider to be very important. Bitcoin has gone through its own upgrade recently with the activation of SegWit, providing the oldest blockchain with some much needed new capabilities. SegWit allows for second layer innovations to be built on top of Bitcoin’s protocol layer. The SegWit upgrade was hotly contested for a couple of years. This had the effect of stalling innovations like the Lightning Network for fast transactions, and Confidential Transactions which offer enhancements in user privacy. Other innovations are also in the pipeline, like MimbleWimbe and Atomic swaps, that can make cross-chain transactions possible, meaning you can send someone Monero, and they get the value in Bitcoin – or vice versa. Such developments can foster a sense of blockchains cooperating instead of directly competing to eat each other’s lunch. With that in mind, it is probably less about picking a winner between Monero and Bitcoin, and more about both coins growing independently and serving distinct use cases and markets. Monero’s clear efforts in being distinctly different from Bitcoin are already paying off as it is clearly the leader in the privacy niche, and it is certainly here to stay. 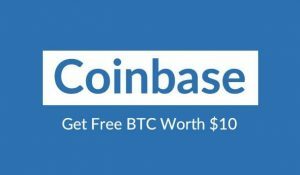 This is article was written by Theo Tsihitas and originally published on CoinCentral . Read the full article here.